As with the previously known plastic plate types, you benefit from our in-house cut-to-size service. 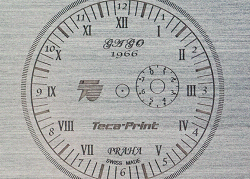 In the shortest possible time you will receive the plate which you can engrave yourself with laser direct engraving in the desired size and with the appropriate holes if needed. 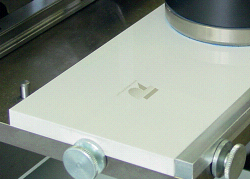 Plastic plates are used for many different applications in pad printing. They are cost-effective and offer high flexibility thanks to the quick and easy exposure options. 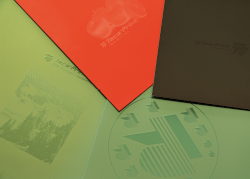 Because of the high abrasion resistance these steel plates are ideal for large print series. They are usually used when a particularly long lifetime is required and only the slightest abrasion can be tolerated. Polymer plates, steel plates, ceramic plates. Here you will find information about plate types, sizes, treatments and accessories. 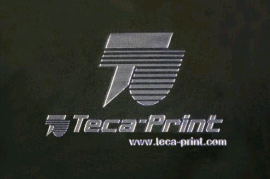 Teca-Print offers a professional reprographic and cliché service for all plate types. Our experienced employees in the reprographic department have high quality equipment to produce an optimized film for pad printing. 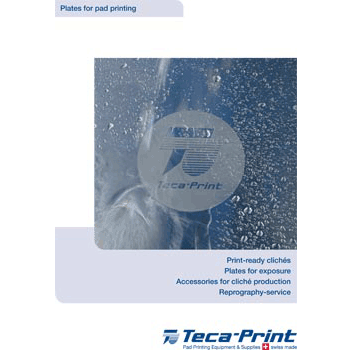 In our accessories catalogue you will find information about screened films and plastic plate manufacturing.